Tons of other games also available like Murder Motel, Tradewars, Hack N’ Slash, Global Wars, and many other famous titles!! Our logon screens are completely automated!! 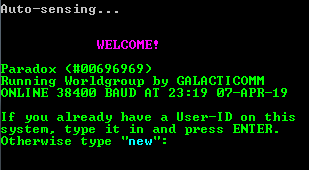 The BBS will throw you a new login sequence each and every time you login, swing on by and join the Heights BBS Amiga family! MMN is an online BBS running in Toronto since 1996, just before the internet became massive, we currently offer free email, USENET, file downloads and external IRC, FTP and Telnet to our verified users. Modem access is limited to 2400 baud since that seems to be the limit of Vonage’s fax line service. 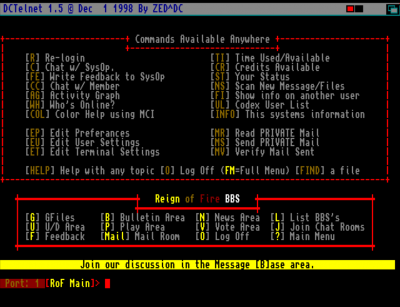 Borderline BBS was brought online in January 2014 as a dial-up only BBS. 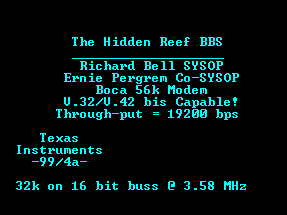 Telnet-accessibility has been added, making it the first BBS running on a C64 with a “hybrid setup” allowing both dial-up and Telnet calls. Running on AA BBS v11.6b on a Commodore 64c with 3 floppy drives. This is a truly authentic Commodore bulletin board system from the late 80s!